There are times when you need to clean your computer and remove the programs you aren’t using anymore. Or maybe you just installed something which you can’t remove the normal way. Luckily for us, Windows includes a number of straightforward options for removing programs. However, there are some programs that just won’t uninstall the normal way. Therefor I have included some some useful tools that you can download to help you out as well (they are one page 2). 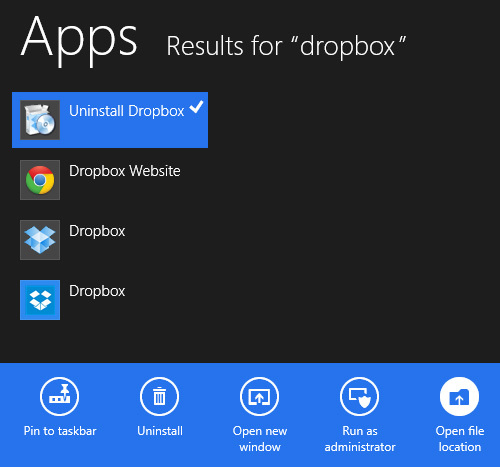 Every time you install something on your Windows machine, the program will get added to the build in Control Panel. You can find the Uninstall A Program listed under “Control Panel > Programs > Programs and Features”. You can either right click and select Remove program or double click on one to start the uninstaller. Microsoft advices you to try again if it doesn’t work to remove the program the first time. You can start the Windows System Restore by typing ‘restore’ into the Search tool in the Start Menu or the Windows 8 Start Screen. Every time Windows install’s a new program or some critical changes have been made to the system, it will create an restore point. Using this restore point you can easily get back to before you installed the program. Most legit programs will come with it’s own uninstaller. 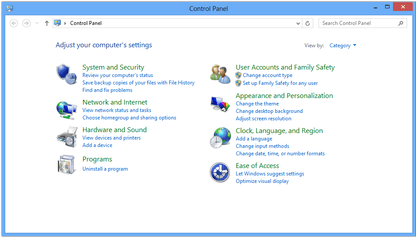 While they normally should be removed using the control panel, you can also make use of the search function build within Windows to manually locate the uninstaller and use it to remove the program. Click on the Search button and then type the name of the program you want to remove. If the program shows up in the search list you can right-click on it and you’ll see a menu with an Uninstall command that you can use. You might also locate the uninstaller this way. Clicking on that will do the same. How to change DNS server address in Windows 10 and Windows 8?